What you hear is the sound of thousands of blintz-angels, bursting through Heaven’s gates singing holy moly, holy moly, holy moly. Or at least that’s what it sounds like. I’m not really sure. I don’t speak Blintzese. But holy cow, these are good. And if I weren’t susceptible to cankles or busting buttons, I’d make them every.single.day of my bowl-of-oatmeal-for-breakfast life. 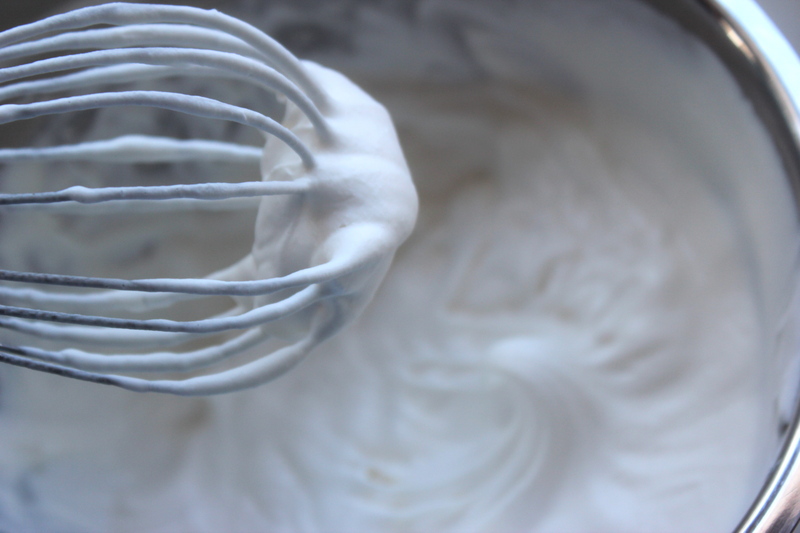 Whisk together flour, salt, and eggs until smooth. Add melted butter. Beat in milk. Cover and refrigerate 2 hours. Heat butter in a 7 inch skillet. Pour in 1/2 cup of batter over low heat. Flip once. 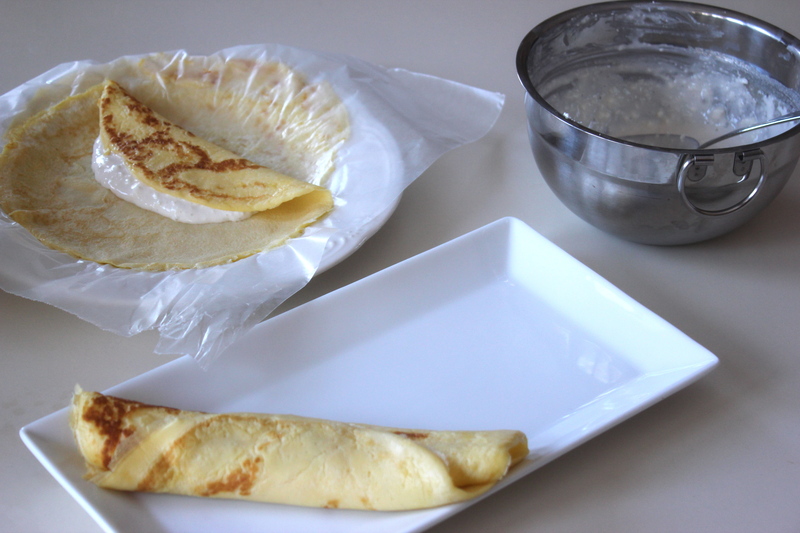 Separate crepes with wax paper. Refrigerate. Preheat oven to 350°F. Combine all ingredients in large bowl and mix well. Fill each crepe and roll. Put on serving plate and heat until warm, about 20 minutes. 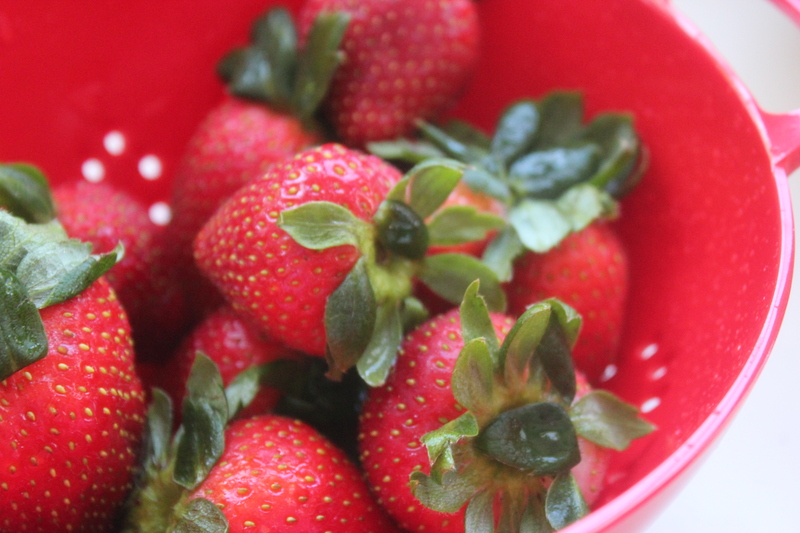 Meanwhile, heat strawberries with sugar over medium-low heat for about 7 minutes. 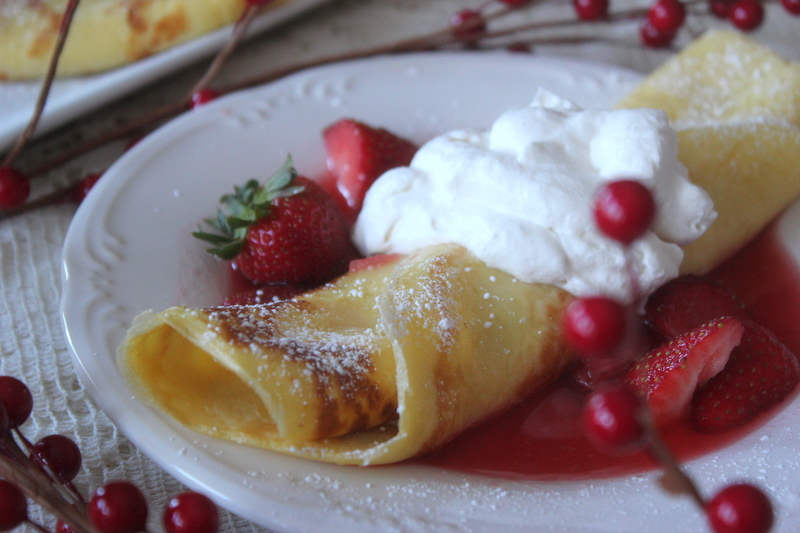 To serve, top warmed crepes with strawberries and whipped cream, and dust with powder sugar. Enjoy! 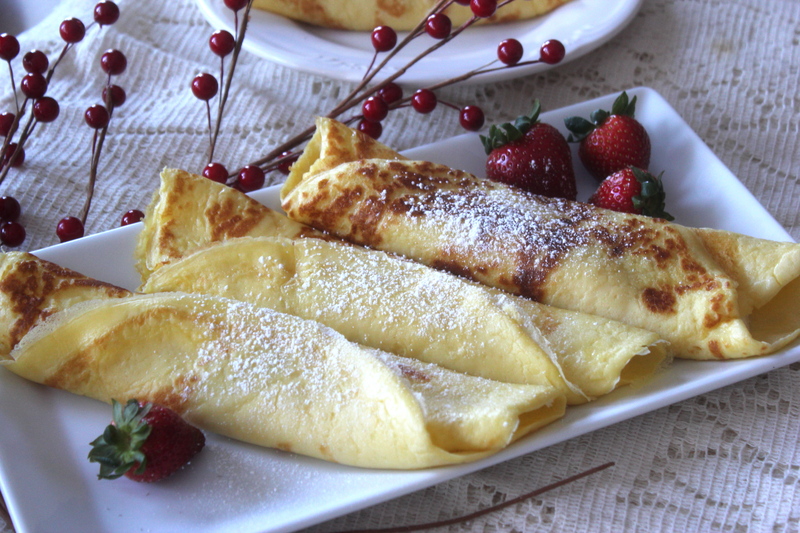 My mom makes crepes like these.. soo yummy! Aren’t they just delish? Love the cheese in them. copyright © 2013 dish & tell.